June the 2nd , 2017 in the framework of the St. Petersburg International Economic Forum – 2017 the member of the Management Board, the Head of the Department of PJSC Gazprom Oleg Aksyutin and the President of the Comita Group of Companies, Danilo Durakovich, signed an Agreement on scientific and technical cooperation. 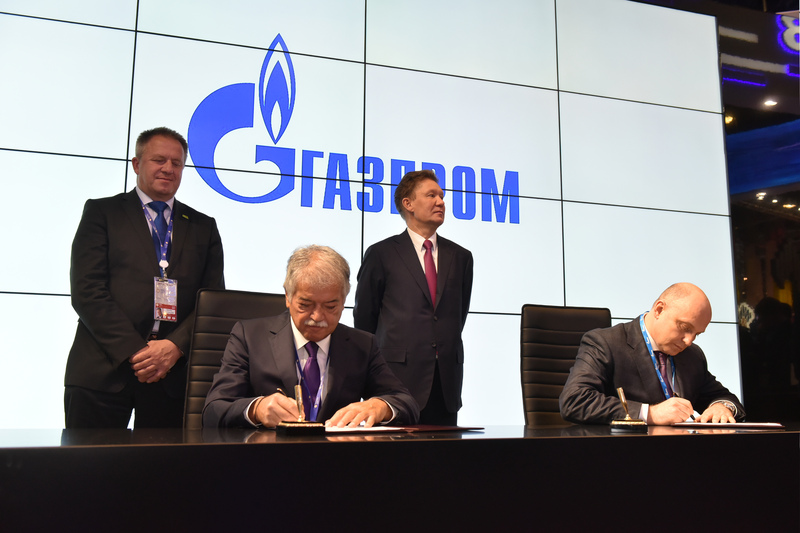 The signing took place in the presence of Alexey Miller, the Chairman of the Management Committee of PJSC Gazprom, and Zdravko Pochivalšek, the Minister of Economic Development and Technology of the Republic of Slovenia. In accordance with the document, the parties will study the prospects for cooperation in a number of areas: the development of modern practices for monitoring the technical condition of gas transmission systems, energy efficiency and energy conservation, ecology, as well as new uses of natural gas.